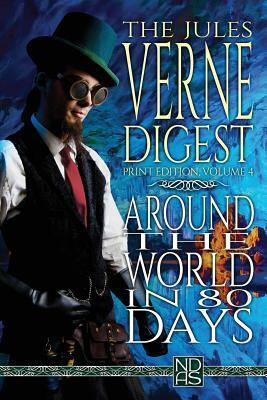 Phileas Fogg is a rich British gentleman living in solitude. Despite his wealth, Fogg lives a modest life with habits carried out with mathematical precision. Very little can be said about his social life other than that he is a member of the Reform Club. Having dismissed his former valet, James Forster, for bringing him shaving water at 84 F (29 C) instead of 86 F (30 C), Fogg hires Frenchman Jean Passepartout as a replacement. At the Reform Club, Fogg gets involved in an argument over an article in The Daily Telegraph stating that with the opening of a new railway section in India, it is now possible to travel around the world in 80 days. He accepts a wager for 20,000 ( 2,075,400 in 2017)--half of his total fortune--from his fellow club members to complete such a journey within this time period. With Passepartout accompanying him, Fogg departs from London by train at 8:45 p.m. on 2 October; in order to win the wager, he must return to the club by this same time on 21 December, 80 days later. N.D. Author Services NDAS] serves independent authors and self-publishers, organizations, businesses, corporations and government divisions globally. Services include structural analysis, editing, proofreading, layout (print, ebook, cms content, etc. ), covers (premade and custom), mockups and information graphics, plus other custom services.